In Sql Server, there are two types of table partitions : Horizontal and vertical. 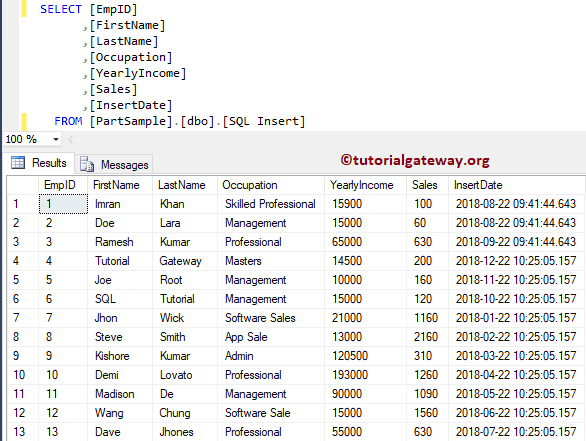 In this article, we will show you, what is Horizontal Table Partitioning in SQL Server and how to create it with example. SQL Horizontal Table Partition: Dividing table into multiple tables is called Horizontal Table Partition. This is very useful to organise data for quick access. 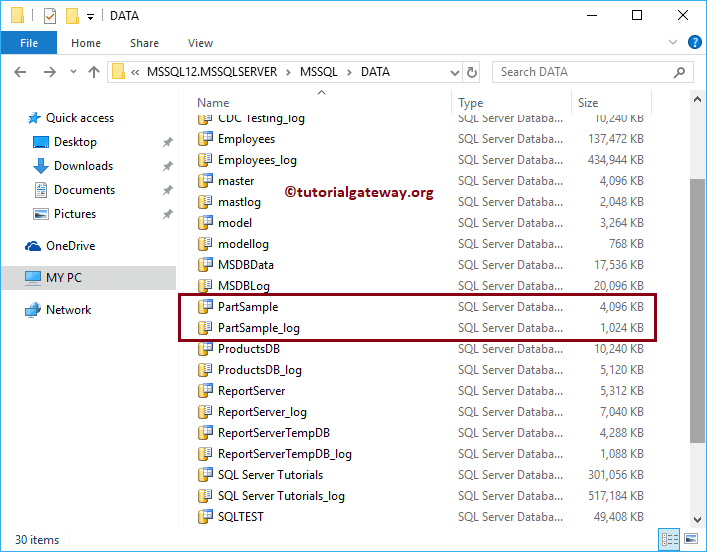 For Sql Server Table Partitioning example, dividing Sales table into Monthly partition, or Quarterly partition will help the end user to select records quickly. Remember, all the partition tables contains same number of columns. 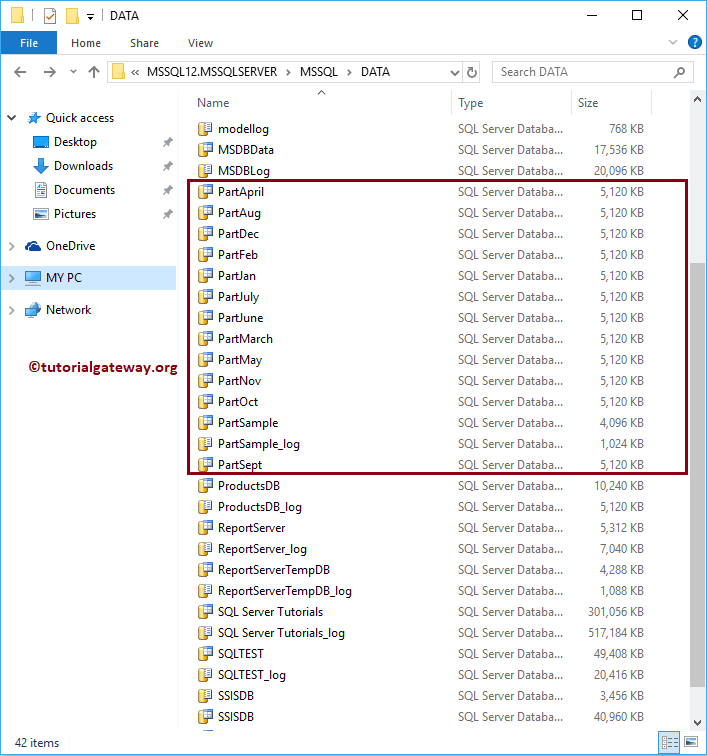 Before we start create Table Partitioning in SQL Server, let me show you the list of database that are available in our local file system. 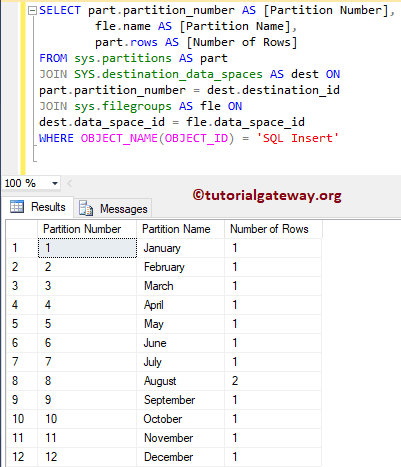 In this example, we will create a table partition in Sql Server to store data in month-wise. I mean, orders or sales in each month will store in separate file group (files with ndf extension). 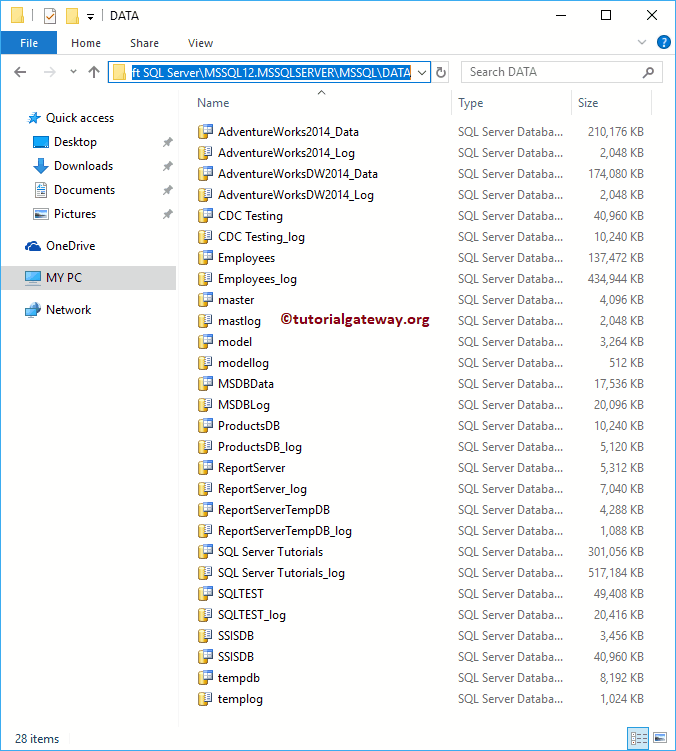 Use below query to add ndf files for the remaining 11 month. Remember, this is the physical location where monthly data is going to store. Let me open my file system. Use sys.database_files to get the information about file groups and their physical locations. This function will map the rows from original table (I mean, partition table) to the partition tables. 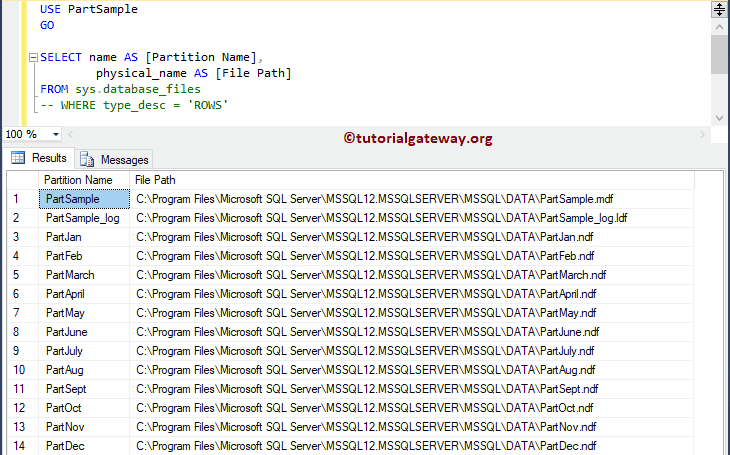 For this, SQL partition function will use one column to identify the file group. Below function will map original table to file groups based on each month. This function compare the insert date value and map to one of the partition based on the values we specified within the brackets (). 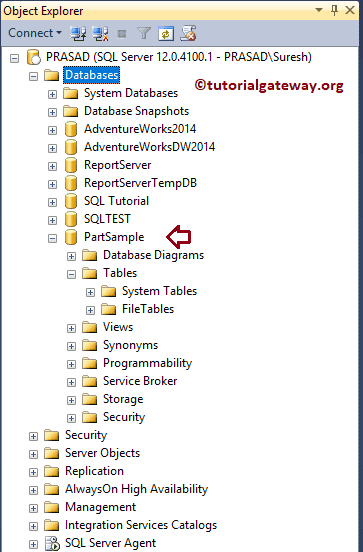 Let me create a table using the newly created Sql Server Table partitioning schema. 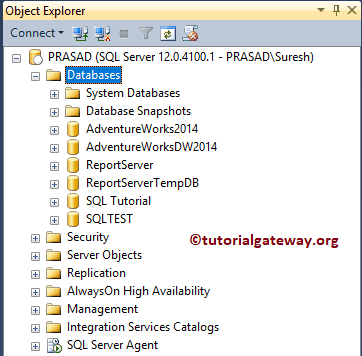 I suggest you to refer Create table, and Identity Column to understand the below code. Next, we inserted few more records with different dates. Notice, we used DATEADD function to add or delete months from current date. 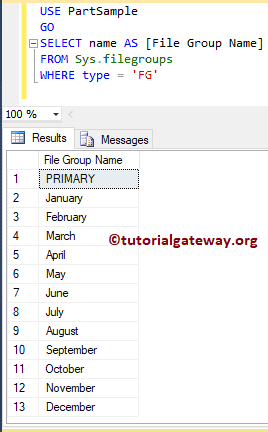 You can use below query to see the File Group name along with total number of rows in the SQL table partitioning. 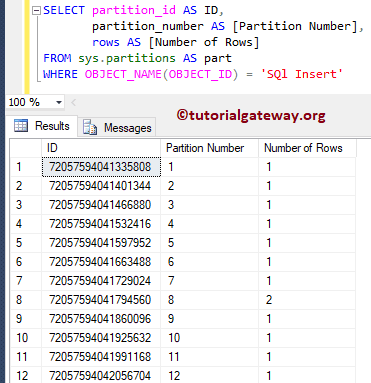 TIP: Please refer Create Table Partition article to understand the spruces of creating partition using SQL Management Studio.